There’s nothing better during the summertime than a good flick. Temple Emanu-El will present its popular film series, Cinema Emanu-El, at 7 p.m. Tuesdays, July 10, 17, 24 and 31, in the Tobian Auditorium. This year there will be a bonus film “Spielberg,” on Aug. 7. A discussion will follow each July movie. Ticket options are $50 for a reserved seat for each film, $18 for a four-film season pass and $5 for individual screenings. The Aug. 5 film will screen at no charge. 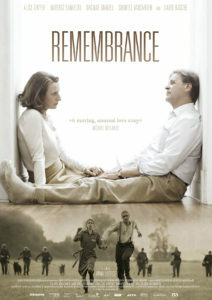 To RSVP for the program, visit participate.tedallas.org.cinema. For more information, contact Becky Slakman, 214-706-0000, ext. 125. Here is this year’s thought-engaging and thought-provoking line-up. After criminals Steve and Chuma become the sole survivors of a terrorist attack at a restaurant in Jerusalem, they decide to change their ways and become flesh-and-blood angels. They go on a journey of fulfilling wishes for people who write requests on paper and put them between the sacred stones of the Western Wall. 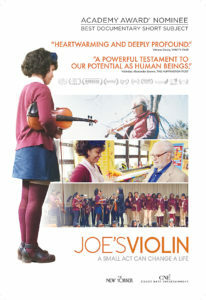 The short film Joe’s Violin follows a 91-year-old Holocaust survivor’s violin donation during an instrument drive that changes the life of a 12-year-old girl from the Bronx. 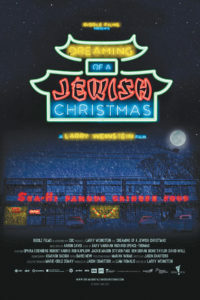 Dreaming of a Jewish Christmas is a musical documentary about the amazing story of a group of Jewish songwriters who wrote the soundtrack to Christmas. Join Temple’s g2g group for a special dinner at 5:45 p.m. Cost is $14. Visit https://participate.tedallas.org/g2gcinemadinner to RSVP. 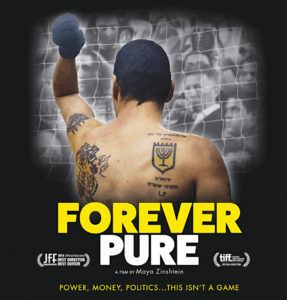 Follow the Beitar Football Club in Jerusalem as it deals with racist outrage from fans in 2012 after signing two Muslim players. A Polish man rescues a Jewish woman during the chaos of World War II, but they become separated until a chance encounter over 30 years later in New York reunites them. At 5:45 p.m., feel free to B.Y.O.D. (bring your own dinner). Emanu-El will provide the wine and beverages. 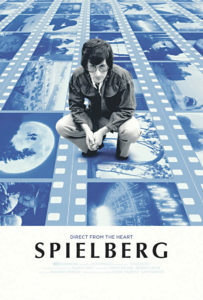 This documentary follows the life and career of director Steven Spielberg. Spielberg is a bonus film to the 2018 Cinema Emanu-El lineup and is free of charge.